Nothing says ""Gotchya!" to a potential intruder, vandal, or burglar better than a security flood light DVR camera. Thanks to modern technological improvements these devices are an entire compact digital video security system. They can be used in both residential and commercial applications and can be extremely effective when placed in the proper location. 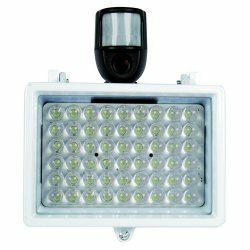 Nothing says “”Gotchya!” to a potential intruder, vandal, or burglar better than a security flood light DVR camera. Thanks to modern technological improvements these devices are an entire compact digital video security system. They can be used in both residential and commercial applications and can be extremely effective when placed in the proper location. 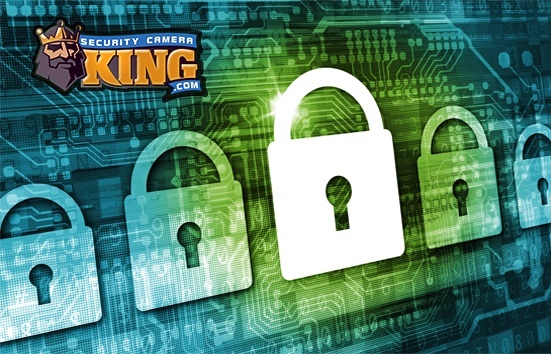 Not only does a security flood light DVR camera help to protect and prevent perpetrators from causing damage or breaking and entering, but it also offers positive deterrence. It’s already been proven by the law enforcement agencies in London, England and New York City that the mere presence of digital video cameras deters criminal activity. However, the security flood light DVR camera takes it one step further. Not only does it record still digital photographs or digital video images of the intruder, but once the unit senses motion, it snaps on a powerful high wattage flood light illuminating the surrounding area and “spotlighting” the intruder as well. In addition to protecting homes and businesses, these units are great for protecting other property as well. Boat docks with electricity, barns, storage areas, specific portions of land, back entrances of retail stores, and no-trespassing industrial areas as well can benefit from the protection of a security flood light DVR camera. The units are relatively easy to install and use as well. Basically, all that is required for installation is to mount the unit, connect it to a standard residential type power line, and select the settings you desire. Then walk away and be confident that your security flood light DVR camera will protect you and/or your family, business, or property. Before we provide some detail about the design and function of a standard security flood light DVR camera, let’s briefly describe a typical digital video security camera system and how it works. Most standard digital video security camera systems contain one to several cameras, a Digital Video Recorder or DVR, and perhaps a monitor. The cameras are mounted in various strategic locations and send their digital video data to the DVR unit by means of a digital video cable run from each camera to the unit, or wirelessly using radio signal transmitters and receivers. The DVR unit, much like a highly specialized personal computer, contains a hard disk drive like those found in computers. The DVR unit processes the digital data and creates a digital video file that can be viewed live on a monitor and/or saved on the DVR for later use. A security flood light DVR camera is basically a miniature version of the basic system without the monitor. The unit contains all the devices (sans the monitor) within one relatively small, compact fixture. The floodlight is usually a powerful 500 watt halogen flood lamp. These lights can project a powerful beam of light in a relatively wide field of vision. Connected to the light, DVR, and the camera is an infrared motion detector. The motion detector, known as a PIR or Passive InfraRed sensor, can detect the infrared radiation emitted by the objects in its field of vision. When this “heat signature” changes greatly or rapidly, the sensor interprets this as motion. The sensor activates a relay that switches the security flood light, DVR, and camera on. Depending on the model, the entire unit switches off either after motion is no longer detected or specified time period after the initial “On” state. When the camera is switched “on” it immediately begins capturing digital video images (or stills), with the flood light helping to provide a crisp, clear, bright picture. An on board processing chip saves the data either as digital photographs or digital video files to the DVR. The DVR in this case is not a large hard disk drive, but usually consists of an SD card (Secured Digital card), a compact flash card, thumb drive or similar mini-portable memory device. All the user needs to do is remove the SD card, transfer the files to their personal computer and view, print, or make movies disks of the saved data. Although a security flood light DVR camera cannot provide the extensive precise coverage of a full size standard digital video security system, it does offer an economical alternative and can be quite useful for specific situations. Contact our security experts via Live Chat or telephone if you have any addition questions or would like to make a purchase.